Get access to the technology of next generation with the Samsung Galaxy Tab S3 9.7 inch Tablet. The tablet is all set to deliver high-octane performance with its innovative and appaling features that one would have thought impossible for it to exist. You can easily switch from touch keypad to the detachable keyboard in this tablet allowing you your much needed comfort. The device comes with S pen making things simpler and easier for you. Apart from these premium features, this Samsung tablet has incredible display, that will let you see the minute details with crystal clarity. Scroll down to learn more about its exciting features. . . The Samsung Galaxy tablet S3 is decked up with the 9.7 inch screen display making it large enough to allow you to work on it like your mini desktop. It sports the super AMOLED display which makes it durable and robust. The screen features HDR (High Dynamic Range) enabling to deliver incredible visual experience for you. The device exceedingly sleek and has an elegant design, which will your hand perfectly. This Galaxy tablet comes with the astonishing S pen. This S pen has true-to-life pressure and angle sensitivity, better than all the others. It can easily follow your orders and execute them as per your wishes with sheer intelligence. The best thing about this pen is that you don't need to charge this pen. This tablet runs on the latest Android 7.0 Nougat operating system and houses Snapdragon 820 quad-core processor, allowing it to work at lightning speed. So now, enjoy all your heavy games uninterrupted on this device. Keeping your data safe and secure is no problem at all, when you own this Galaxy Tablet S3. This device is loaded with the 32Gb internal storage which can be expanded up to 256Gb. The powerful 4Gb RAM suffices you to carry on with your unlimited gaming sessions on this device. With the Li-Ion 6000mAh battery, nothing is going to intervene you. The single charge can last up to 12 hours and with its groundbreaking charging speed, this device can charge fully within three hours with adaptive fast charging. It is decked up with 13MP rear camera and 5MP front Camera, giving you amazing results in terms of clarity. Be sure to click exceptional photos, with the camera of this tablet. The device can be easily connected to WiFi and bluetooth. 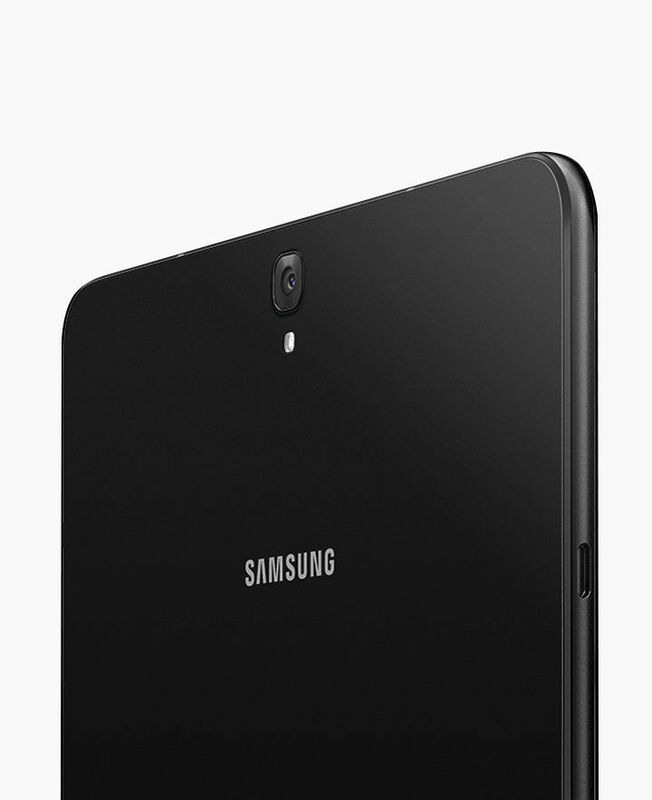 And with the Samsung Flow, you can seamlessly connect this tablet to your Samsung Galaxy mobile and share files wirelessly, get notifications, and even take calls from your tablet. Get access to the technology of next generation with the Samsung Galaxy Tab S3 9.7 inch Tablet. The tablet is all set to deliver high-octane performance with its innovative and appaling features that one would have thought impossible for it to exist. You can easily switch from touch keypad to the detachable keyboard in this tablet allowing you your much needed comfort. The device comes with S pen making things simpler and easier for you. Apart from these premium features, this Samsung tablet has incredible display, that will let you see the minute details with crystal clarity. 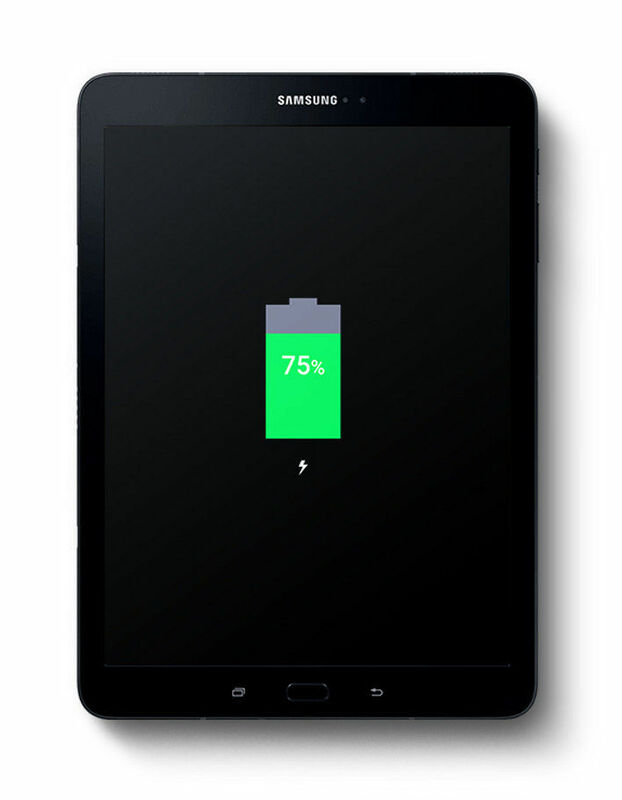 Scroll down to learn more about its exciting features. . .Design & Display The Samsung Galaxy tablet S3 is decked up with the 9.7 inch screen display making it large enough to allow you to work on it like your mini desktop. It sports the super AMOLED display which makes it durable and robust. The screen features HDR (High Dynamic Range) enabling to deliver incredible visual experience for you. The device exceedingly sleek and has an elegant design, which will your hand perfectly.Magical S Pen This Galaxy tablet comes with the astonishing S pen. This S pen has true-to-life pressure and angle sensitivity, better than all the others. It can easily follow your orders and execute them as per your wishes with sheer intelligence. The best thing about this pen is that you don't need to charge this pen.Processor & OSThis tablet runs on the latest Android 7.0 Nougat operating system and houses Snapdragon 820 quad-core processor, allowing it to work at lightning speed. So now, enjoy all your heavy games uninterrupted on this device.Memory & Battery Keeping your data safe and secure is no problem at all, when you own this Galaxy Tablet S3. This device is loaded with the 32Gb internal storage which can be expanded up to 256Gb. The powerful 4Gb RAM suffices you to carry on with your unlimited gaming sessions on this device. With the Li-Ion 6000mAh battery, nothing is going to intervene you. The single charge can last up to 12 hours and with its groundbreaking charging speed, this device can charge fully within three hours with adaptive fast charging.Camera & Connectivity It is decked up with 13MP rear camera and 5MP front Camera, giving you amazing results in terms of clarity. Be sure to click exceptional photos, with the camera of this tablet. The device can be easily connected to WiFi and bluetooth. 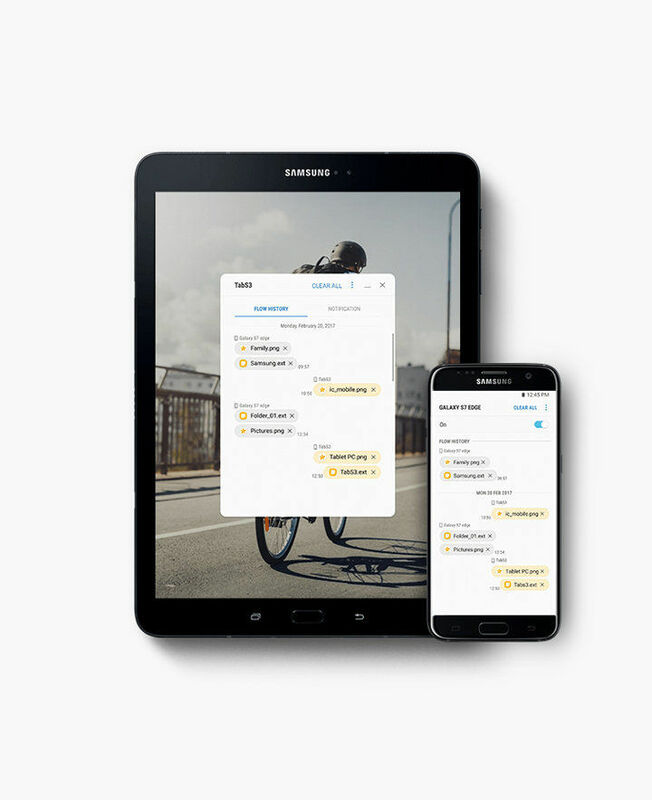 And with the Samsung Flow, you can seamlessly connect this tablet to your Samsung Galaxy mobile and share files wirelessly, get notifications, and even take calls from your tablet.